Silicon, like coal or gas, harbours energy. The new method can exploit this source of energy, without loss, and at the same time produce valuable nano silicon dioxide. Unlimited amounts of silicon can be produced from just sand and energy. offers the advantages of ease of storage, transportation and use. The power plant is supplied with silicon as its source of energy, which produces electrical energy as it burns. The power plant is capable of feeding electricity into the grid at very short notice, similar to a gas turbine plant. At the same time, the plant produces valuable nano silicon dioxide. The added value is both in the electrical energy and the production of nano silicon dioxide. The plant can be scaled accordingly, and even small block power plants are possible. The following is one potential scale as an example. This plant is capable of producing 760 standard m³ of hydrogen per hour, in addition to processing a total of 3,888 tonnes of silicon per year. Solutions for energy storage and production of nano silicon dioxide. 2 raw products enable a very high level of efficiency. One plant produces 760 standard m³ of H2 per hour, 360 days a year. The entire plant can operate hydrogen production at temperatures not exceeding 100°C and a pressure of approx. 0.1 bar. There are no waste products. One kilogramme of silicon can produce 5.6 kWh of hydrogen. The energetic efficiency of the plant is dependent on the energy that is required to produce one kilogramme of silicon. The guaranteed value is 14 kWh/kg silicon, giving an efficiency level of 38%. Other methods range from 12 to 8 kWh/kg, which gives rise to an efficiency level of up to 67%. The system can ramp up with extreme speed, and increase hydrogen production. The resulting hydrogen is not stored, rather processed and converted into electricity immediately, which alleviates concerns about its storage (which can be problematic). One kilogramme of silicon can produce approx. two kilogrammes of nano silicon dioxide with a particle size of 20–145 nanometres. Nano silicon dioxide is a highly sought-after material in the construction industry, and new production methods for cement and porcelain are likely to increase demand still further. 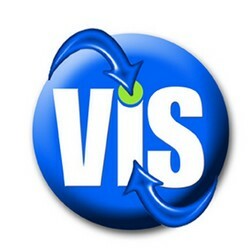 VIS Group business partners have been working since 2005 on the development of new and innovative methods of energy production. Nanotechnology and inorganic materials are our key strengths. Our goal is to develop products with unique capabilities that are in line with the demands of the market. Take advantage of our expertise, we would be happy to give you our support.